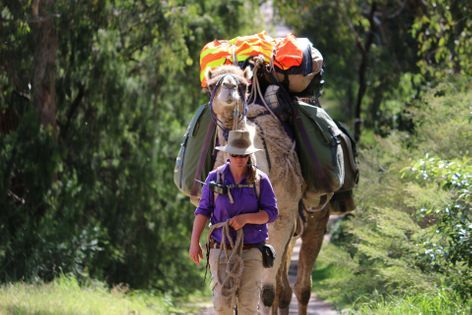 On Pregnancy & Infant Loss Awareness Day (15th October 2016) a Bereaved Mother started her 150km walk on a Self Sufficient Camel Trek along Gippsland's Rail Trail. We raised awareness of infant, Neo-natal, fetal & miscarriage deaths the things we don't like to talk about, but happens everyday. We're collected donations along the way for community Cuddle Cots for Regional Gippsland towns (servicing East Gippsland & Beyond). In memory of Charity Camel Trek founder's infant son Noah Lea Osborne passed on at 4 days old December 2015 & brother Corey Briede, passed on at 32 years May 2016. Camels for Cuddles, Charity Camel Trek successfully completed this trek on 25th October 2016.